Arthritis Action welcomes a report outlining the NHS’s new Personalised Care Plan. The plan aims to benefit up to 2.5 million people by 2024, giving them the same choice and control over their mental and physical health that they have come to expect in every other aspect of their life. 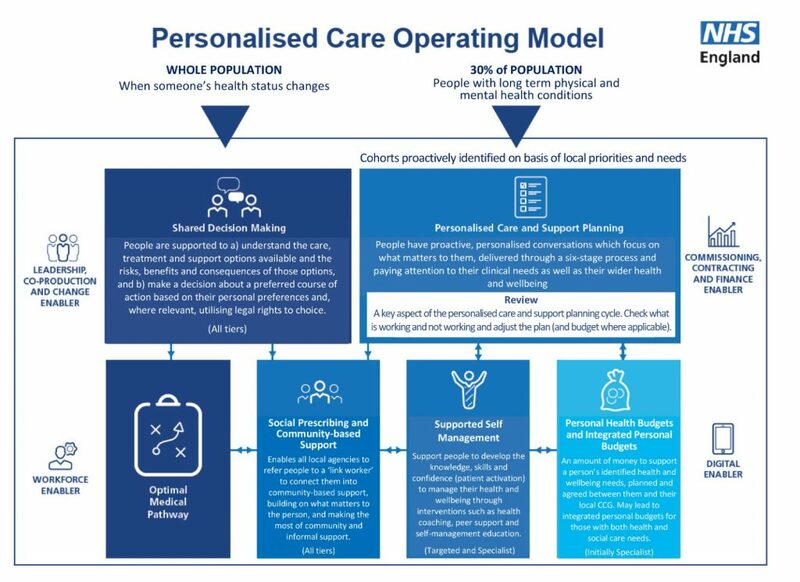 Developed by bringing together six evidence-based components of care, the model addresses shared decision making; support planning; supported self-management; enabling choice; social prescribing and community-based support; and personal health budgets. Consistent with the ethos of Arthritis Action’s holistic approach to treatment, the model of personalised care takes a whole-system approach. It aims to integrate health, social care, and public health services around the individual person, encompassing both mental and physical health. The model also acknowledges the important voice of carers, as well as the role of community in supporting people and helping build resilience. The NHS will implement the shift to the new model over the next five years, having included the objective for a personalised care approach into its new Long-Term Plan, spanning over ten years. Arthritis Action is keen to see how the new approach will provide decision-making power to individuals, enabling them to have an active voice in their care, and will continue to support people with arthritis through educating them about self-management. Read the NHS’s long-term plan. More about Arthritis Action’s events here, or access our free Self-Management Resource here.